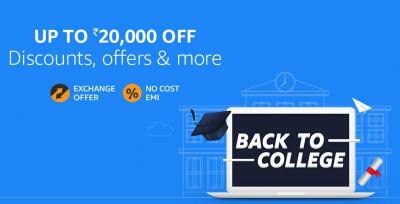 Offer Details:Up to 40% OFF on Laptops. Choose from the top brands like HP, Lenovo, Dell, Acer, Asus. No coupon is required. Offer is valid till stock lasts. 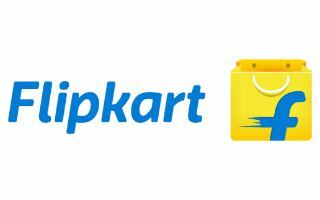 Offer Details:Up to 30% OFF on Smartphones. No coupons is required. Offer is valid till stock lasts. Offer Details:Upto 75% off on Air Conditioners. No coupon is required. Offer is valid till stock lasts. Get upto Rs 200 Cashback on Women & Men's SlippersOffer is valid for limited period. No Coupon is Requires. Get upto 50% Cashback on Winter Wear CollectionOffer is valid for limited period. No Coupon is Requires. Get upto 50% Cashback on SareesOffer is valid for limited period. No Coupon is Requires. Get upto Rs 20,000 Cashback on TV & Large AppliancesOffer is valid for limited period. No Coupon is Requires. Get upto 80% Cashback on Women's FootwearOffer is valid for limited period. No Coupon is Requires. Get upto 40% off on Microwave OvensOffer is valid for limited period. No Coupon is Requires.